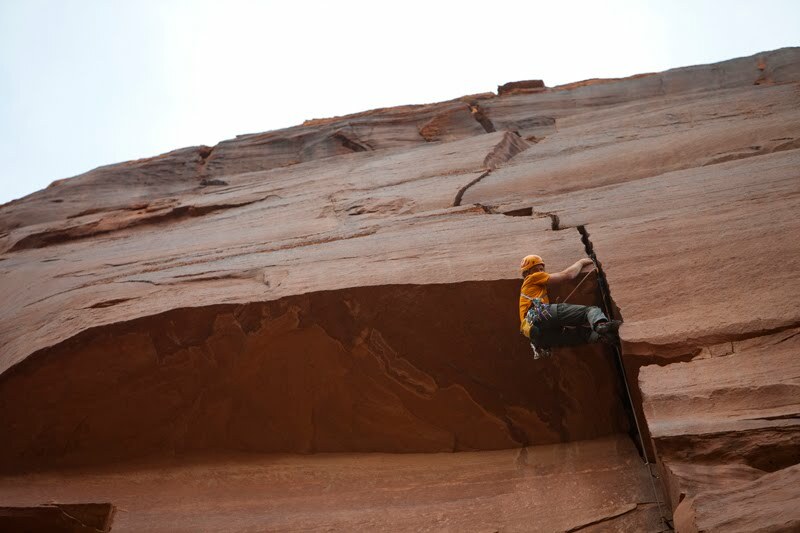 Pete “the Greek” first ascenting on the Green River, during last years Green River trip. 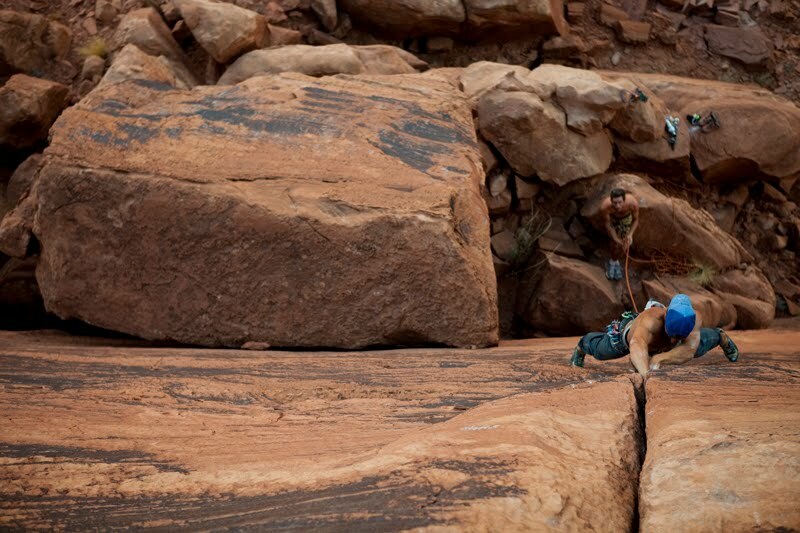 Pete putting in some anchors on a new crack. Splitter thin hands and straight as a nail. Me on Willow, the roof is a about 4 inches wide and the pitch is a whole rope length. 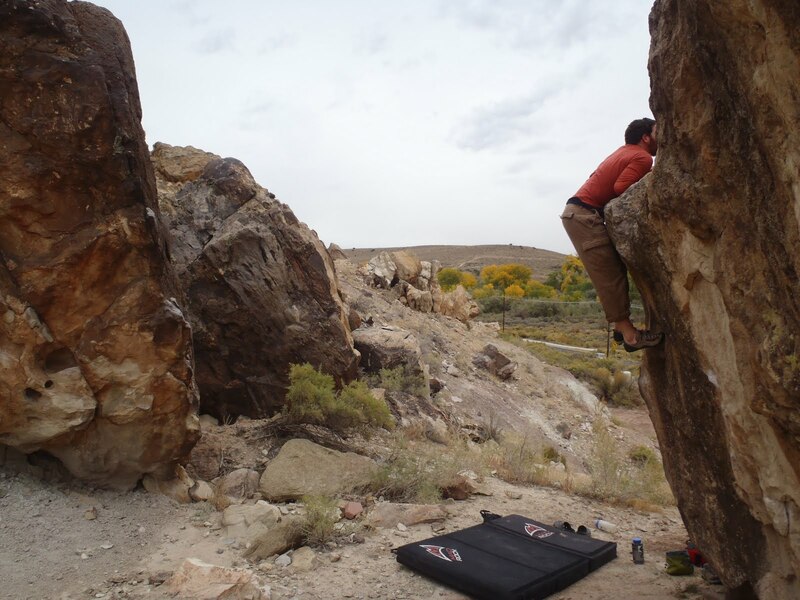 Jesse bouldering at Riggs Hill, Grand Junction. I always look to him for good technique! This week has been flying by. The kids at school are in their uneasy stage because Thanksgiving break is near and because the routine of school is wearing on them. Jane has been training hard for her Marathon in January and I am nearly healed from my foot injury during the 24 hours of Boulder race. It has taken nearly three weeks for my foot not to throb all day. I am happy that I can begin weight training again and using my foot aggressively. I have been able to work my core strength though and feel it slowly coming back. Lots of hanging on a pull up bar and doing leg raises and other similar excesses to bring back the burn of climbing inverted. I complement those excesses with some that are based on the floor. 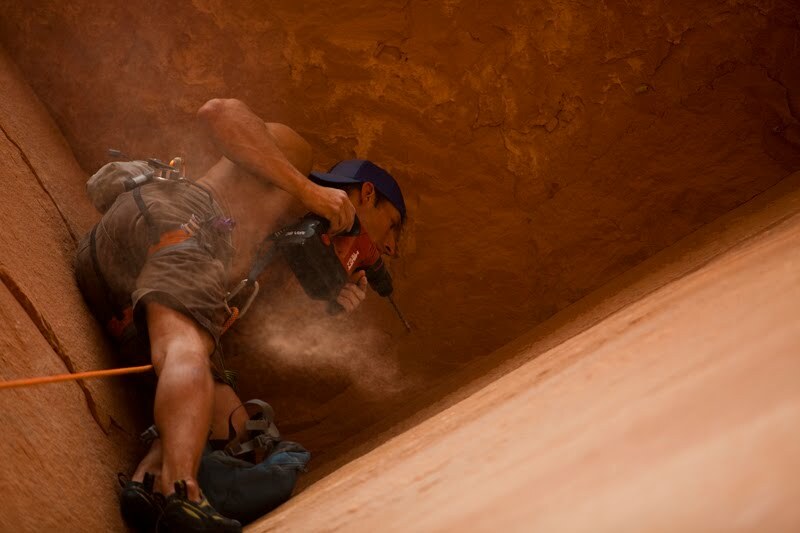 Those 30 minutes each day are painful, but will help when I begin hanging upside down again on rock climbs. 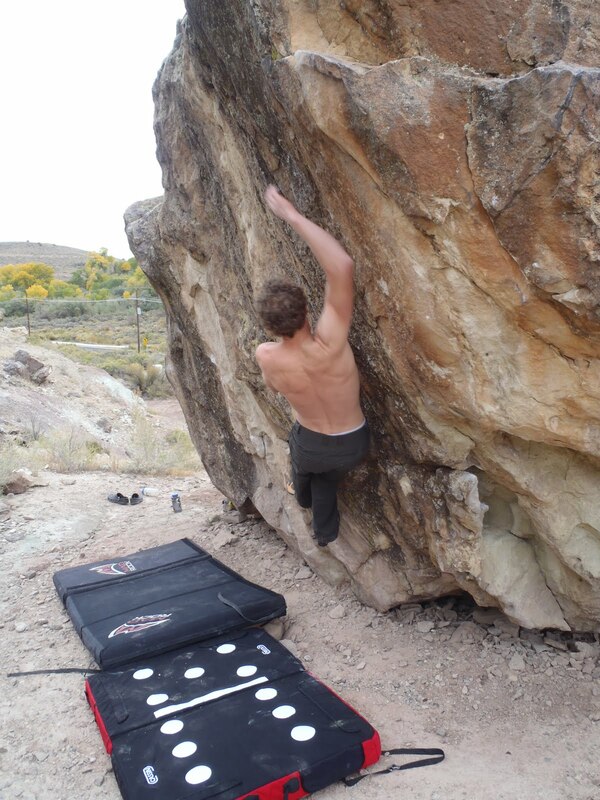 I have also began setting routes and boulder problems at the Grand Junction Climbing Center. A gym that has taken a beating over the years with neglect and various owners. I believe that with its latest owners passion and interest in the sport, that this gym, however small will come back to life with all the changes that are coming. It is a great time to be there and training with all the friendly locals who come by to play and train!